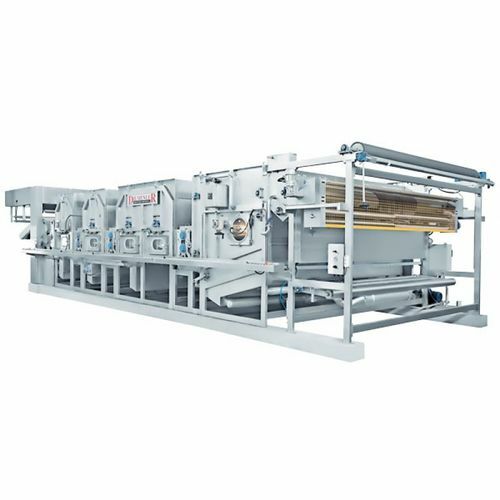 DMS 25 Dil-Pre Wash Open Width Fabric Pre-Washing Machine is equipped with high technology, serves to sector economical and high productive machines in processing both knitted and woven fabrics in washing after dyeing (printing, jet dyeing and CPB) which produced from natural or synthetic fiber and it’s compounds. Manufactured according to EN 13445 and PED 97/23/EG. Austenitic stainless steel 1.4404 according to EN 10028-7 suitable for material norms EN 10204 3.1 certificate.